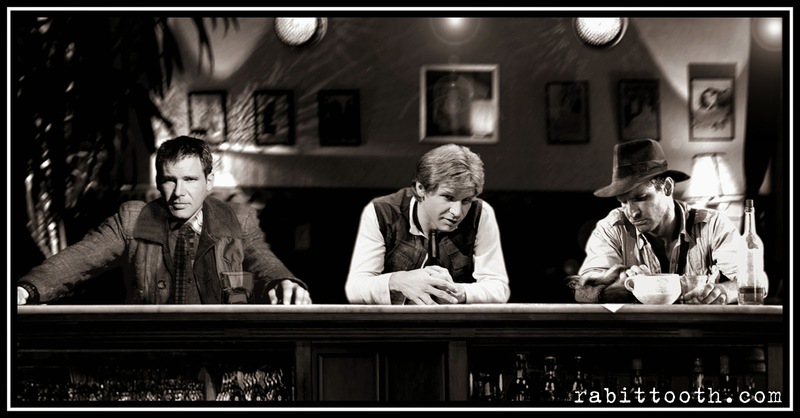 What if Rick Deckard, Han Solo, and Indiana Jones ran into each other at the bar? As long as they put aside the grumpiness of Harrison Ford, they might have an interesting conversation. DeviantArt user Rabittooth imagined how such an encounter might look, and I have to say that I would pay to be allowed to be their bartender.